Mary Cay Hodapp, age 94, of Spicer, died Tuesday morning, January 15, at Bethesda Grand Nursing Home in Willmar. 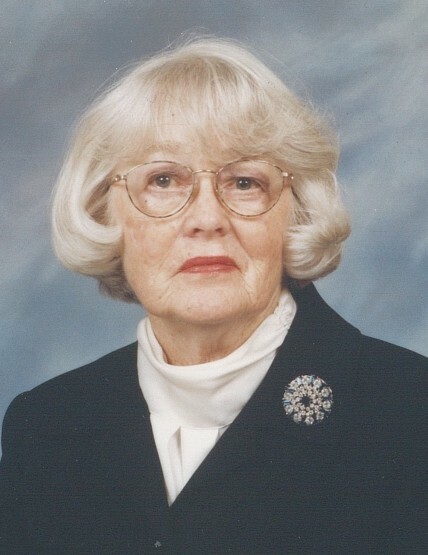 Mary Cay Hodapp was born on July 10, 1924, in Omaha, Nebraska, the daughter of Benjamin F. and Mary (Deeny) Ewing. She grew up in Omaha and graduated from Duchesne Academy in 1941. In 1945, she received a Bachelor of Arts degree from the University of Minnesota. On September 28, 1946, Mary Cay was united in marriage to Robert V. Hodapp and they made their home in Chicago, New Orleans and Cape May, N.J., and moved to Willmar in 1949. They were members of the Church of St. Mary where Mary Cay served as choir director for over 25 years and a member of the choir for several years following. In addition, she was a private music teacher in Willmar. In 1971, Mary Cay graduated from St. Cloud State University with a Bachelor of Science degree in Music Education. Other activities at the Church of St. Mary include, chairman of the pipe organ committee, member of the worship committee, the stained glass window committee as well as a teacher in the religious education program. Mary Cay served on the New Ulm Diocesan Lay Music Commission and received the Medal of Honor of Parish Service in 1991. Other organizations in which she participated include, board member of the Barn Theatre where she appeared in numerous productions, the West Central Concert Series board member, the Willmar Community Chorus, the Benson Choralieres, the Cosmopolitan Study Club, the Willmar Musicale, Spicer Garden Club, the Twin City Catholic Chorale and the National Association of the Teachers of Singing (NATS). Besides spending time with her family and friends, Mary Cay enjoyed gardening, playing bridge and traveling. She is survived by her children, Mary E. Hodapp of Arlington, VA., Robert E. (and Connie) Hodapp of Spicer, Michael (and Mary A.) Hodapp of Spicer, John (and Carey) Hodapp of Willmar and Paul Hodapp of Duluth; twelve grandchildren and eight great grandchildren, besides other relatives and friends. She was preceded in death by her parents; one sister, Dolores and three brothers, Jack, Joe and Ben.